Update: I made a Pinterest board wI have been favoriting “how to code” links on Twitter for awhile now and that seems pretty useless so I’m going to list them here instead. Animated GIFs can turn you into a into a web coder. – Use revisit.link to create the glitches and animations then upload to the github repository and make changes and then deploy to a website. 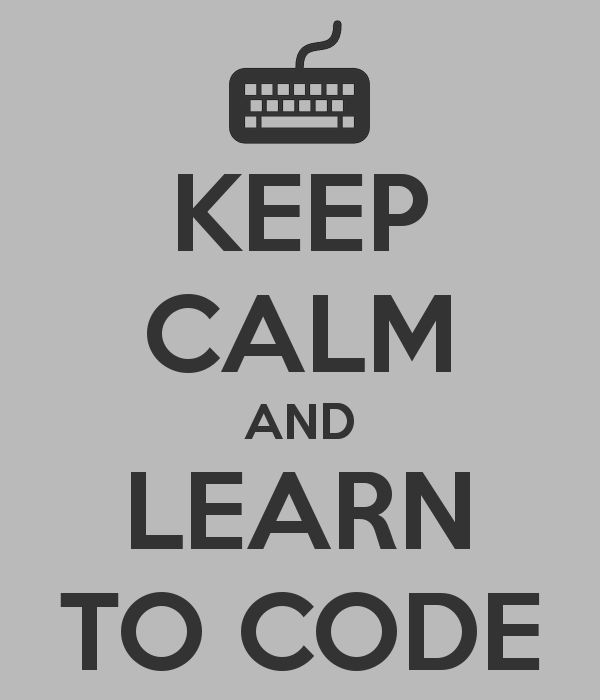 27 ways to code online. – Here’s a list, some redundant with what I already listed. Here’s a Pinterest board I made with around 70 apps listed. – My 4 year old has this on his iPad and loves it. He has designed some games for me to play. Google’s “Made With Code“, an initiative to “creatively engage girls with code”. – Good for beginners. Choose from existing projects including a 3D printed bracelet and animated gif. Drag and drop shapes to learn about objects, properties and values. Mozilla Webmaker – Tools, events and teaching guides that allow webmakers to create content and understand how the web works.